No Premier League fixtures this coming weekend, as the fifth round of the Emirates FA Cup takes centre stage, but league leaders Chelsea head to Molineux for the late kick-off on Saturday and can continue their serene progress through the competition. 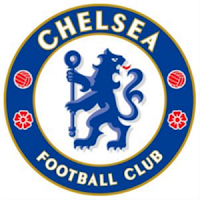 Blues’ boss Antonio Conte will, no doubt, ring the changes, as he’s done in previous rounds but, even with nine changes to the starting XI Chelsea have outclassed Peterborough and Brentford at Stamford Bridge in the last two rounds. Wolves, of course, have seen off Premier League opposition in rounds three and four, beating Stoke City 2-0 at the bet365 Stadium and Liverpool 2-1 at Anfield. All credit to the men in old gold and black, and their manager Paul Lambert, but the likes of Pedro and Willian have run amok against lower league opposition in previous rounds and may do again on Saturday evening. For a change, let’s try Pedro and Willian both to score at any time at 5/1 with William Hill.